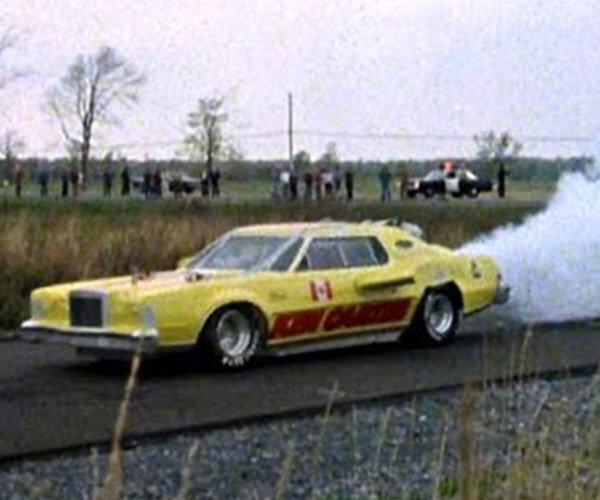 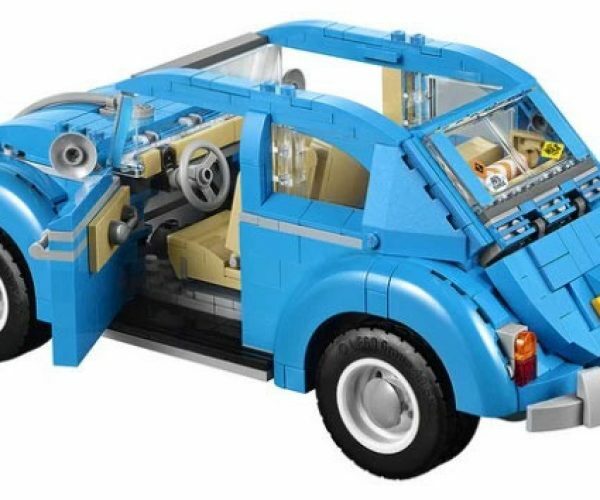 I used to live for building cars out of my LEGO blocks, and I clearly recall the teachers having to gather up all the wheels at pre-K to stop the 4-year-old brawls from happening because that jerk James tried to bogart all the wheels. 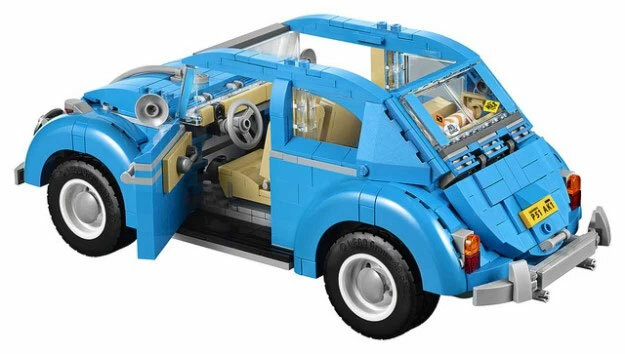 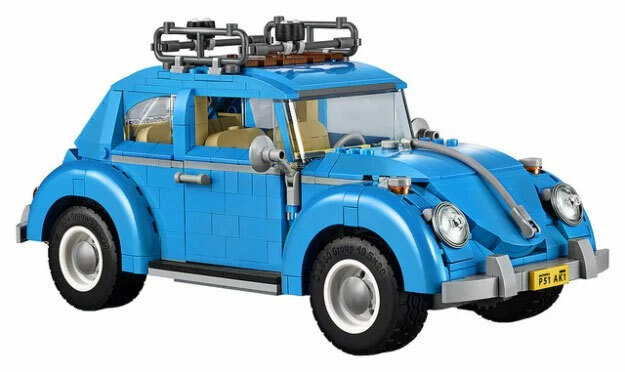 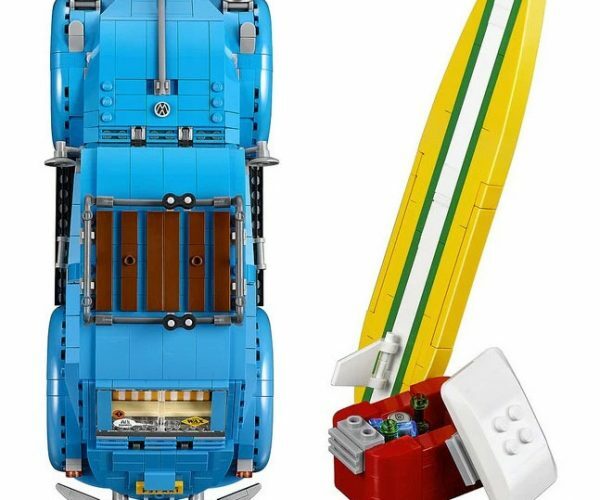 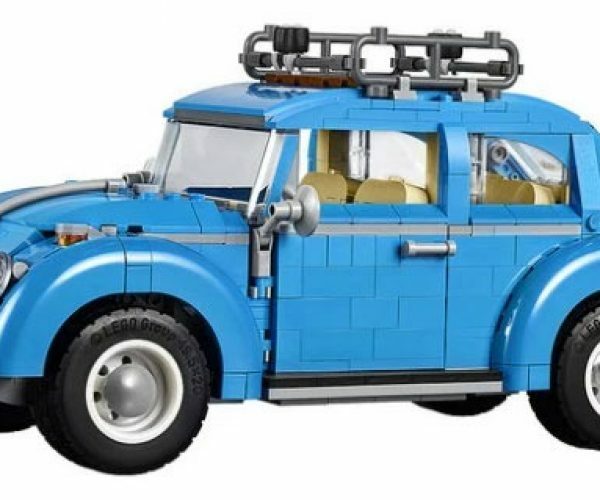 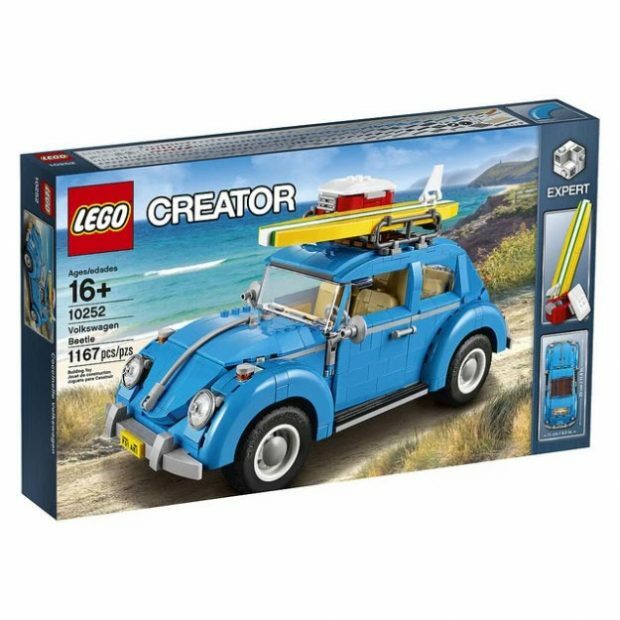 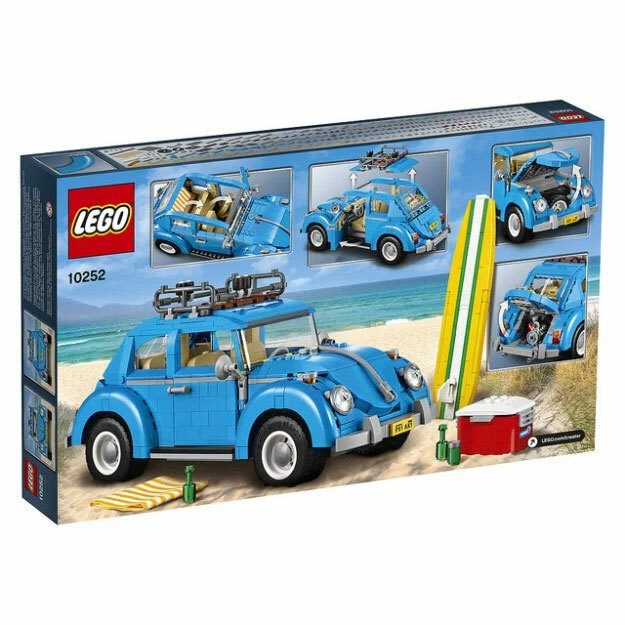 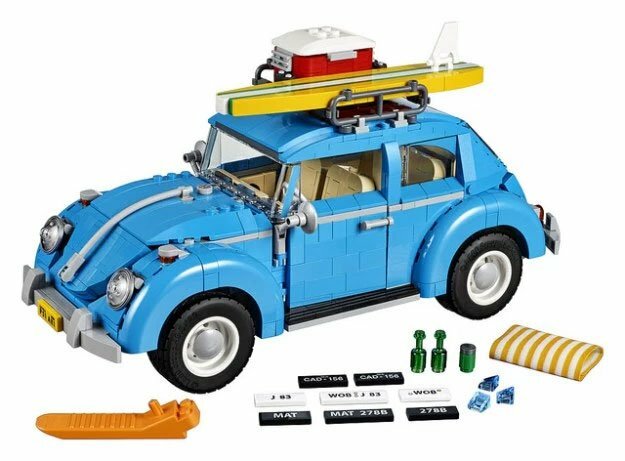 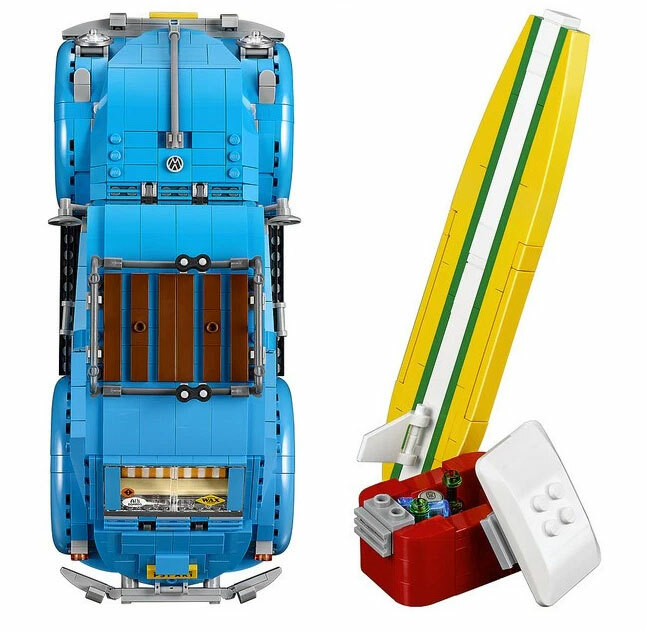 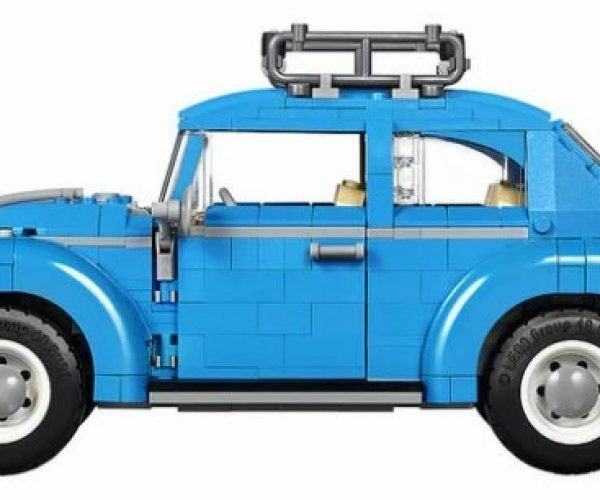 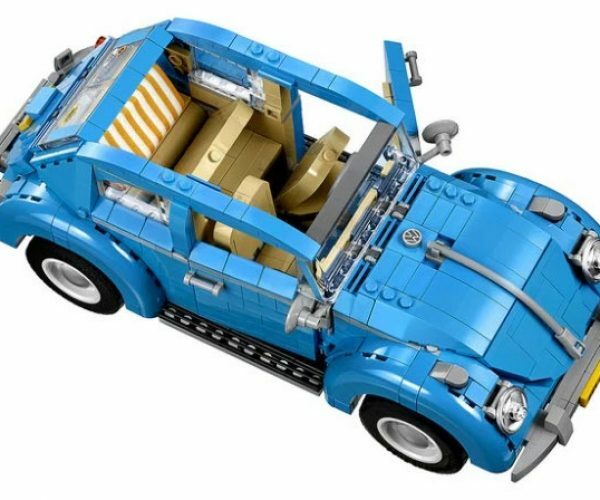 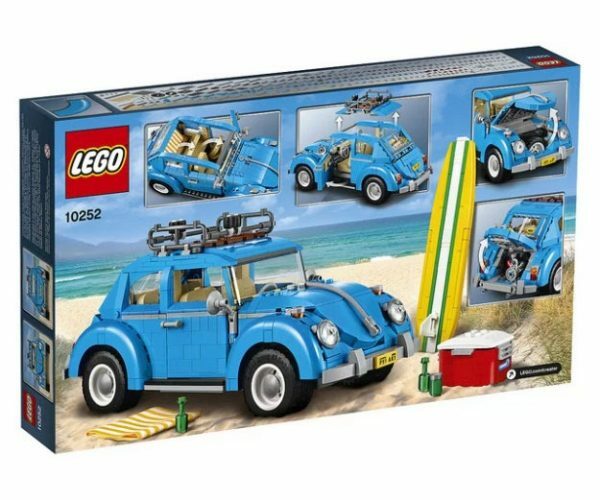 Now that I’m a grown up, I’m excited to see this cool new LEGO set based on a classic 1960’s Volkswagen Beetle. 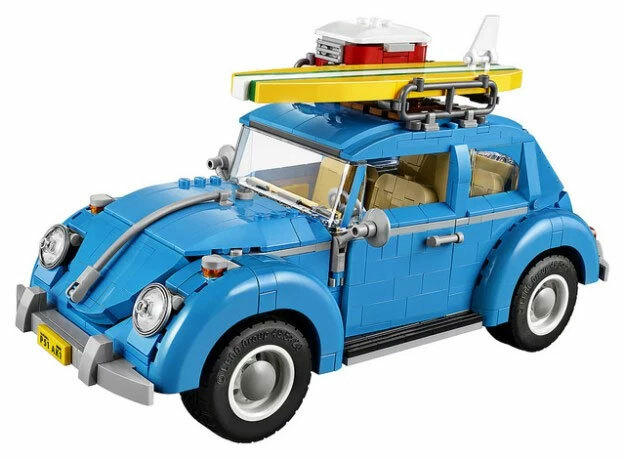 This particular Bug is ready for the beach with a roof rack, surfboard, and cooler on top. 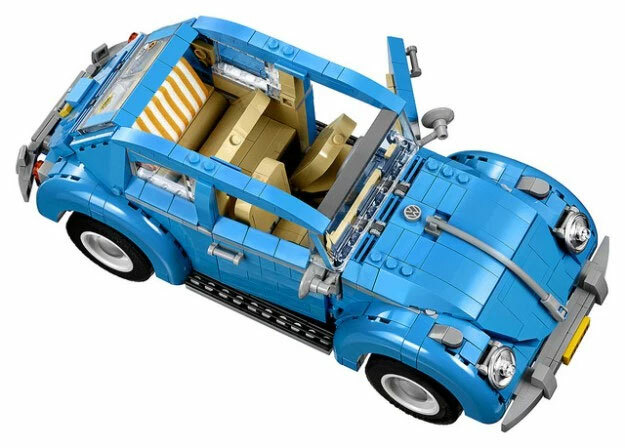 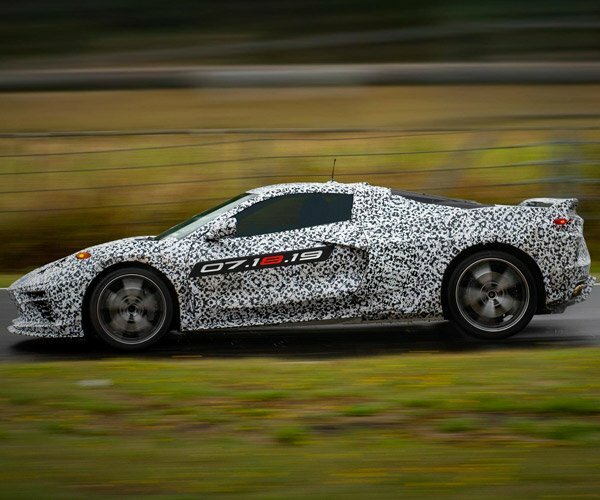 The kit has over 1100 pieces to it, and the finished car model has a tilting rear seat, opening hood and trunk, and an air-cooled four cylinder in back. 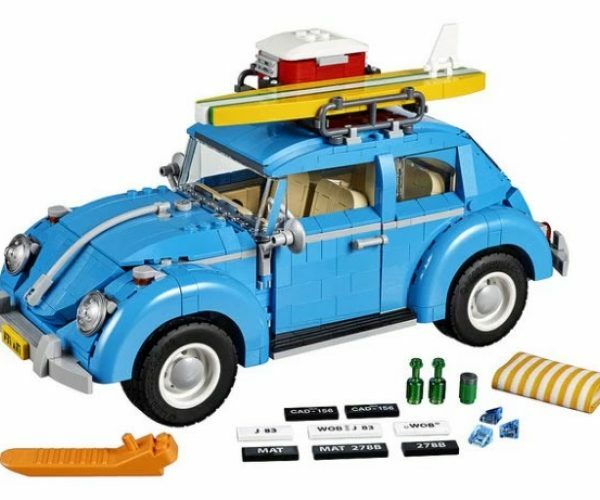 When assembled, the car measures over 11-inches high, 10-inches long, and 4-inches wide with the surfboard and cooler. 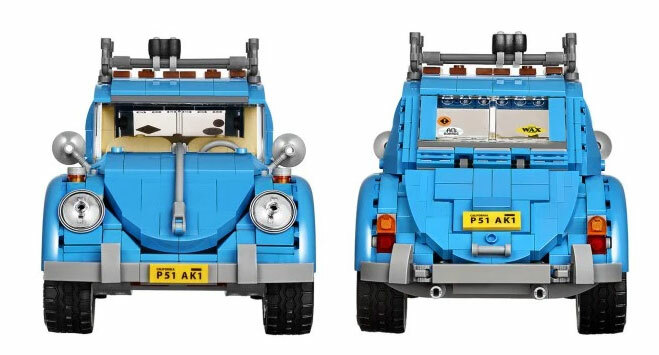 There are stickers to make four different license plates included. 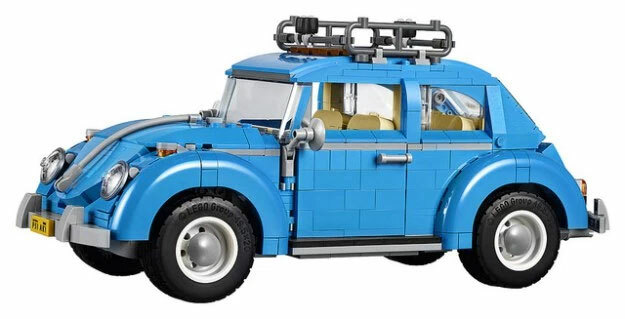 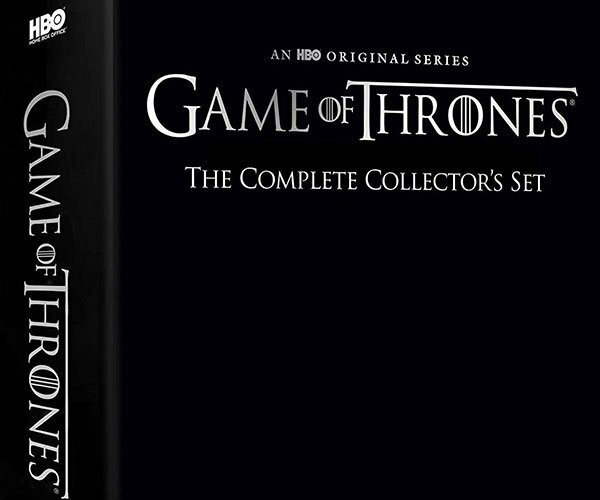 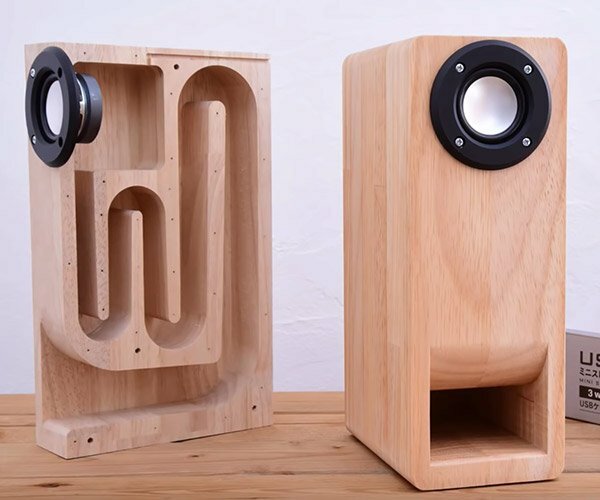 The kit will sell for $99.99(USD) and it looks awesome. 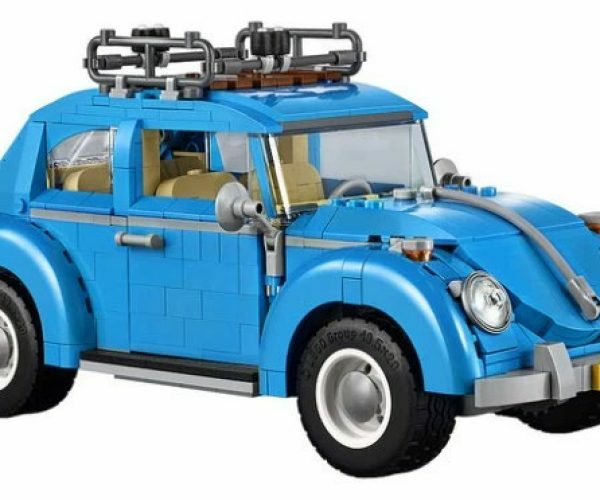 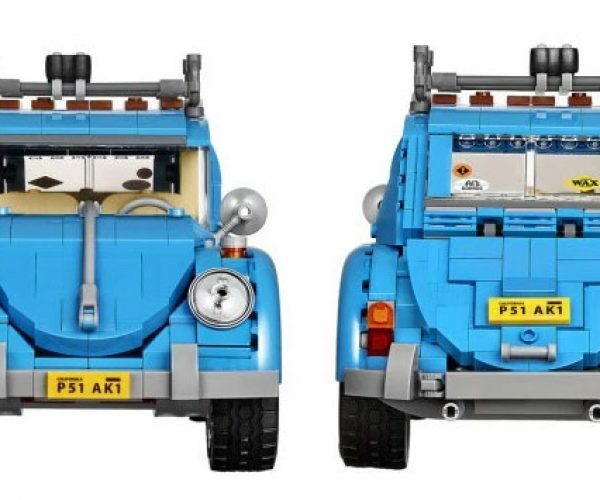 You should definitely buy one when it comes out this August – the last LEGO Beetle model is now a very expensive collector’s item.